"Excellent care and excellent staff, would highly recommend." "Dr. Gopal is an excellent surgeon. I highly recommend him." "Overall I really like Dr Gopal. He is a no nonsense doctor." "He is very kind and understanding doctor. He takes time to go through all your options." 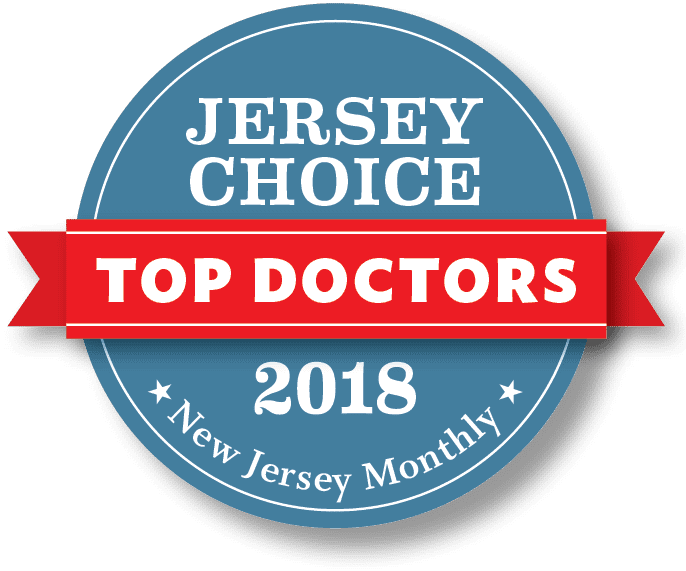 Dr. Manish Gopal brings extensive expertise to treating women with pelvic floor disorders at the Center for Urogynecology and Reconstructive Pelvic Surgery, with locations in Somerset and Freehold, New Jersey. The opportunity to make a dramatic impact on a woman’s quality of life inspired him to pursue urogynecology. Dr. Gopal’s training covers all forms of medical and surgical treatment for women with pelvic floor disorders. Dr. Gopal graduated from the MCP Hahnemann School of Medicine in Philadelphia and completed his residency training in obstetrics and gynecology at Thomas Jefferson University Hospital, also in Philadelphia. Dr. Gopal recently finished an accredited fellowship in Female Pelvic Medicine and Reconstructive Surgery at the Hospital of the University of Pennsylvania, a premier women’s health program. He has received funding from the National Institutes of Health for the investigation of geriatric epidemiology and completed a master’s degree in clinical epidemiology from the University of Pennsylvania. He has a special interest in minimally invasive surgical techniques, and the AAGL, formerly the American Association of Gynecologic Laparoscopists, has recognized him for surgical excellence. His research and writings have been featured in a number of peer-reviewed journals and textbooks; he also has presented at national and international scientific meetings, such as the American Urogynecologic Society and the International Continence Society. 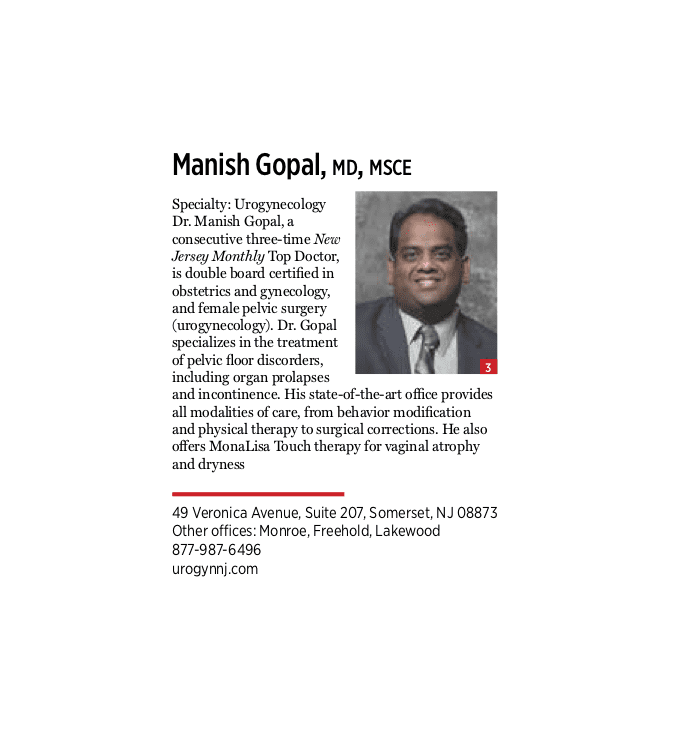 Loved by his patients, Dr. Gopal was named a top doctor in New Jersey Monthly magazine in both 2016 and 2017. In 2012, Dr. Gopal was named director of Gynecological Robotic Surgery at Saint Peter’s University Hospital in New Brunswick, New Jersey. "Excellent doctor. Definitely knows what he's doing. Diagnosed my issues completely. He takes the time to address all your concerns"
"Staff is very professional and friendly. They explain everything fully and are understanding of patients concerns. Dr. Gopal is excellent and extremely proficient ."